Rarely available top floor condo with deeded boat slip and breathtaking views with a maintenance fee to let you breathe! Beautiful sparkling move-in ready with windows on three sides which makes the condo light and bright and brings you extra water views. Here you will enjoy a super king size waterside balcony, two under building parking spaces, an elevator, tennis courts and one of the loveliest and largest tropical setting pools in the area. This condominium is wide to bring in spectacular water views from the master bedroom and from the living room and dining room area which also has a window on the side for more incredibly gorgeous water views. Cable included. The condo has been freshly painted in soft neutrals, the expansive living areas enjoy handsome tile and the bedrooms have new carpet for cozy toes. The under building parking space is large enough to allow an large extra storage container for your boat gear. 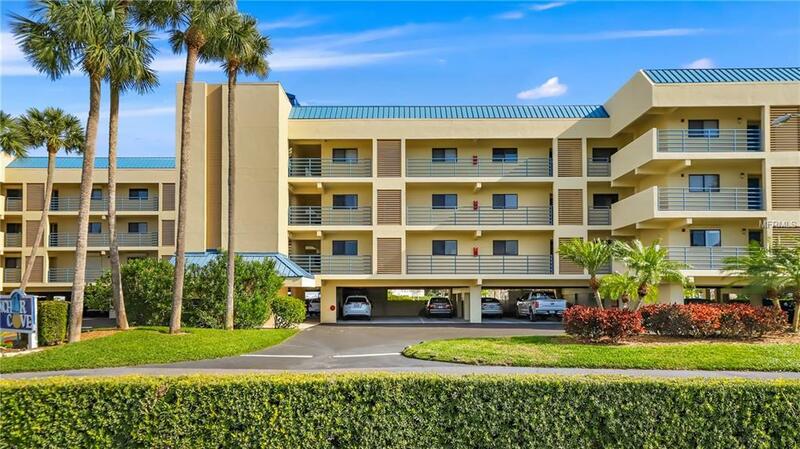 Anchor Cove is a handsome complex with added peace and privacy afforded by the beautiful lawn and tennis courts between the building and Pinellas Bayway. Interior of the elevator is currently being refurbished to meet the high standards of Anchor Cove. Tierra Verde, considered the Crown Jewel of Pinellas County is a picturesque island with a golf course at one end and Fort Desoto Beach at the other. Though we know you wont want to, if you ever need to leave your own tranquil and joyful place in paradise you can quickly get to wherever you need to go with quick access to interstate #275. Additional Water Information Direct Access To Tampa Bay And Quick Access To The Gulf. The Tierra Verde Bridge Structure E is Being Replaced is A High Span Fixed Bridge. Amenities Additional Fees Condo Fee Listed includes An Extra Fee For The Boat Slip. Pet Restrictions 2 Pets Any Size Pets That Exhibit Aggressive Behavior Or Nuisance Behavior As in Excessive Barking Are Not Permitted.